Today I will finally publish settings for a market I have been experimenting with for a while, and I’m finally happy enough with my setup that I can promote it. I am talking about the Battle-Scarred Augment Runes. This item is perfect for flipping as it almost exclusively used in raiding, which means that demand is very predictably cyclical throughout the week! Flipping an item will work well when either the supply or the demand for the item is highly variable. Battle-Scarred Augment runes give a primary stat buff that lasts for an hour. Their primary use is in end-game PvE content, mostly in raids to push out more damage and kill the boss slightly faster. Since their main use is in raiding this means that supply will be vary throughout the week. Most players will be buying augment runes on the raid reset day to use in the raid that evening. Then players will buy less throughout the week and prices will fall towards the weekend. Once we hit Sunday demand usually picks up. As you can see on the daily summary from Ravencrest EU below the price follows a pretty regular weekly pattern with peaks every Wednesday. During my testing I have found that buying up to 80% dbmarket will give you a decent amount of supply, while not overloading you so much that you can’t move your stock. This is an item where we expect the price to trend downwards for a long while, so it is important to not get stuck with a large amount of inventory. I would suggest running scans throughout the week, but you should focus on the time between Thursday-Sunday as that is where most of the deals are found. With my TSM setup the maximum price is 80% dbmarket as I mentioned. I will buy everything up to 100% max price, as shown in the screenshot below. Sadly there weren’t any available below my maximum price. 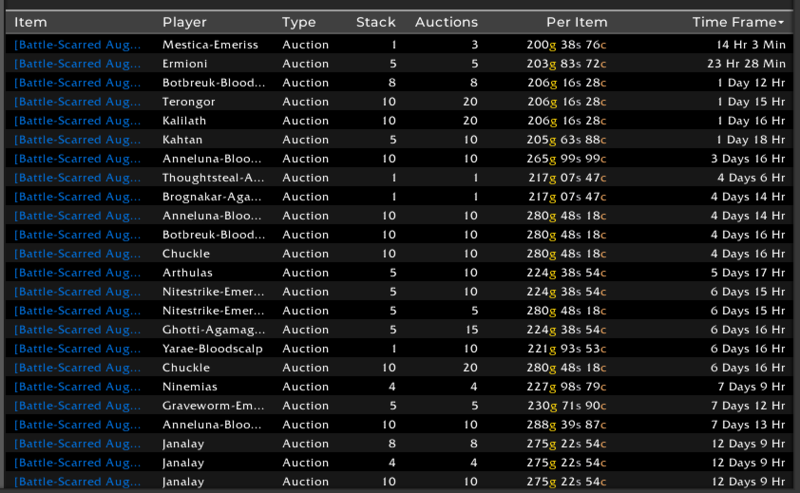 You can see that my own auctions show up at 125% max price, as I post them at 100% dbmarket. 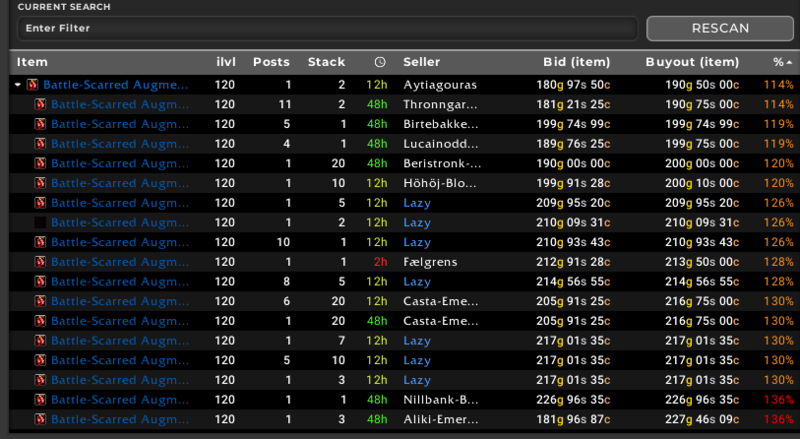 As with other high volume markets my setup is NOT designed to be the cheapest one on the auction house. I sell in stacks of 1, 5, 10 and 20 and I do not post them below 100% dbmarket. The idea is to be the cheapest in a specific stack size that players are willing to pay slightly more for. As you can see from my sales below I am selling a decent volume across all the stack sizes. Overall I have made an average of 34 gold per augment rune I have flipped, with a total of 1022 augment runes sold. 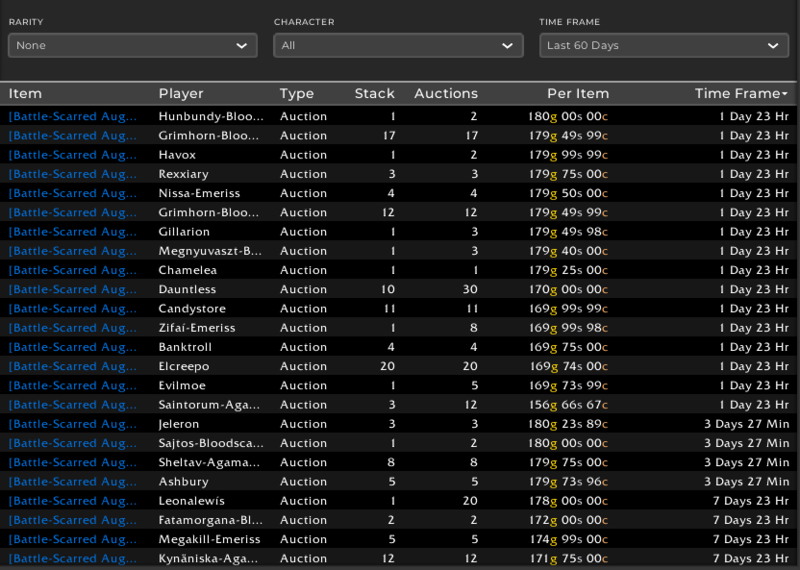 This has yielded a total profit of 34 000 gold. This is not going to make you rich on it’s own, but it’s a decent side income for anyone, and it is quite simple to get into. Be careful that you do not post your runes for too much gold as the volume is high so if you overcut too much you will not get the sale. 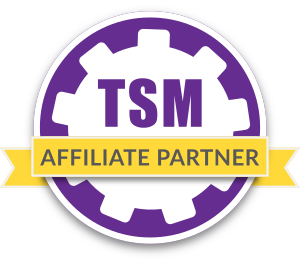 My TSM settings can be found in my pastebin. 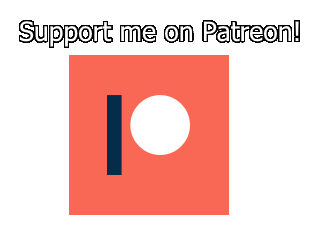 Hey Lazy is there a way for me to support you without being donating real money?